Remy Amador Presas was born in the fishing town of Hinigaran, Negros Occidental on December 19, 1936. Scion of a middle class family, Remy was born to Jose B. Presas, a businessman and the former Lucia Amador. His father and mother wanted Remy to pursue a career other than sports, like business where the family was then comfortably ensconced. But business was not for Remy, for he was a true lover of sports. Exposed at an early age by his grandfather a true lover of sports, Remy developed a special love for the physical art that will one day find him one of its stalwarts. At the tender age of 6, while learning his alphabet and prayers from his mother, Remy was already learning the fundamentals of “kali”, as Arnis was then called, using finely carved wooden canes shaped like swords and daggers. This developed in Remy an immense love for sports, which will become an indelible mark of his nature. At the age of 14, Remy went to the different cities like Cebu, Panay, Bohol, and Leyte, where he pursued his athletic career. Studying in Cebu, under the masters of the deadly “Balintawak” style of stick fencing, he sharpened his abilities in sports. Remy finally returned to his hometown an expert in Arnis and other sports like Judo, Jiu-Jitsu, Wrestling, and Karate. After his marriage to the former Rosemary Pascual, he set up a gymnasium in Bacolod, Negros Occidental and started the wheels of his obsession to revive the dying martial art of Arnis. 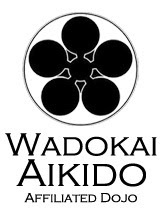 In 1969 he moved his family to Manila, and established the National Amateur Karate Organization (NAKO). 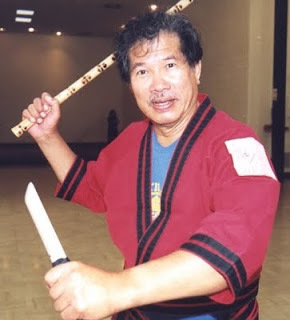 The popularity of Modern Arnis continued to grow, and in 1970 was asked to go to Japan and before the Itago Police Academy he introduced Arnis. So intrigued and fascinated were the Japanese Police authorities of the art that they exclaimed in admiration of its effectivity. Modern Arnis today is practice all over the world. The International Modern Arnis Federation (IMAF) is the organization that Professor Presas put into place to carry on his legacy and teaching of Modern Arnis. It is headed by the Masters of Tapi-Tapi and they travel internationally continuing the Professor’s teachings. Grandmaster Remy Amador Presas, lost his battle with cancer on August 28, 2001 at 7:40 p.m. He faced his illness as he did all aspects in his life, directly, powerfully and with all his heart. It is the goal of the Academy of Aikido and Arnis to carry on the teachings of Grandmaster Presas under the guidance of the International Modern Arnis Federation.